Strip planked boats are beautiful lightweight and rugged. The building process involves bending long, narrow, thin flexible strips of wood around a building form and fitting these strips together with other strips. 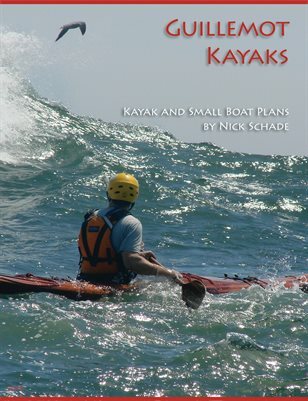 It is a versatile boatbuilding technique that can be used for small, lightweight solo boats and scaled up to full sized yachts. In these classes we will build one or two small boat designs such as a kayak and a canoe and work through the whole process of making the boat. We start by truing up the forms, then immediately get into bending the strips around the forms and edge gluing the wood strips together. The next day typically includes installing the last of the strips of wood, some planing and sanding to give the boat a smooth fair surface. The next day we finish fairing the boat, and then apply a reinforcing layer of fiberglass and epoxy. On the following day we remove the boat from the forms and smooth the interior before applying another layer of fiberglass or an exotic carbon-fiber or Kevlar cloth. The following days vary slightly depending on the particular boat being built but it is all going towards the goal of fitting out the details of a beautiful hand-made craft. Throughout the class the students are instucted on why they are doing the tasks in that way and how and why they may choose to do it differently in future projects. After a week of fun building a beautiful boat each student will have the experience needed to build their own vessel, and one lucky student can go home with the results of their week of learning. The above video shows a class at the WoodenBoat School in Brooklin, ME where the students built the Nymph canoe. A team of students worked together to build the boat in 5 days. In another room they were also working on a Night Heron kayak. These two different boats exposed the students to the varied techniques that can be used to make a beautiful strip planked boat.